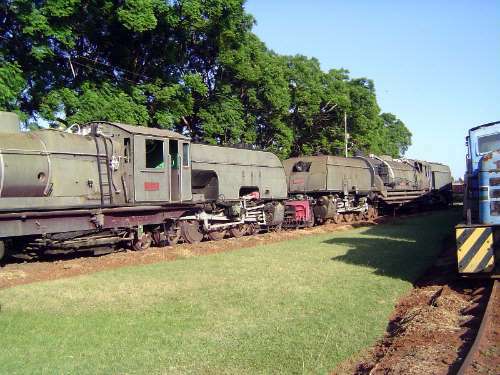 After World War I, when the Germans lost German East Africato the British, the railways of both Kenya and what was then called Tanganyika were reorganized as the East African Railways, which explains the letters on this locomotive at the museum. The EAR, which also operated in Uganda, survived longer than British rule but came to an end in 1977. Since then, the Kenya part of the system has been simply Kenya Railways. Management has been in various hands. None, so far, have managed to do much to restore the system.